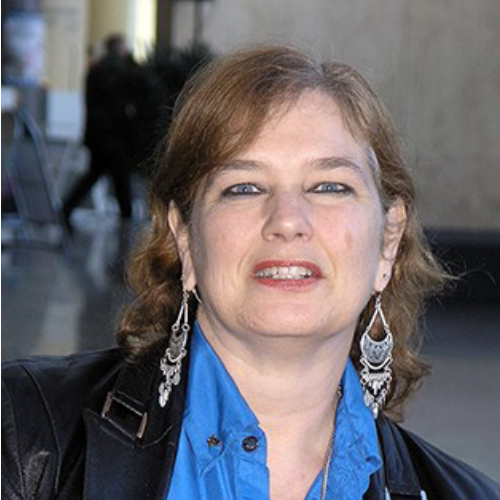 Pat McGrew, director of production workflow services at InfoTrends, a division of KeyPoint Intelligence, is the author of a new white paper titled “Meeting Clients’ Needs with Geomarketing“. We recently talked to Pat about geomarketing and the ways in which it is enabling print and marketing service providers to extend their product offering and improve customer satisfaction. Geomarketing is getting a lot of attention these days. Why do you think that is? Marketers are always looking for ways to get – and keep – the attention of both their current clients and their prospects. It isn’t easy. There is a lot of noise in the marketing sphere, so you need a differentiator. That makes personalization, the good kind of personalization, a requirement. By “good” I mean the communication that knows who I am and markets to me based on some data, but doesn’t invade my privacy. At least not overtly. Location adds personalization that is both useful to the marketer and to their target audience. As a marketer I can truly focus on the demographics that mean the most to me, and I can make smarter decisions about how to spend my money. As a customer, giving me location information means I don’t have to work as hard to interact with the products and services. I love getting direct mail that has a map to the store! And I don’t think I am alone! We have seen so many effective campaigns that use different types of maps to guide a buyer to a seller, and yet it seems that many marketers have not yet caught on to the value. Printers need to be bringing this to their customers and help them understand the value, but marketers need to look around as well. Geomarketing is an investment that pays back very quickly! Geomarketing might feel too technical for some marketers, and too complex to others. I think as an industry we need to break it down into components that resonate with all of the constituents in the marketing cycle. Just start with a static map. That is using geomarketing at the most basic level, but it is a very effective basic level. Get comfortable with adding maps and then you can move on to more complex geomarketing solutions that involve mobile devices and GPS tracking. If I owned a printing company, I would add to my menu of services the ability to link map information to direct mail campaigns and even Point of Sale marketing collateral and posters. If I were a marketing services agency, I would add geomarketing as a differentiator and make it part of the pitch to potential clients. For a relatively low cost of entry you get big rewards. It sounds as though geomarketing services really enhance what the provider is already doing? Over the last six years I was able to watch a number of large printing companies bring geomarketing into their organizations and turn it into a profit center. Working with the right geomarketing company, these print providers and marketing agencies can easily implement these solutions without having to buy a lot of software or special training. And, offering location-based services clients that they can rely on that print or marketing service provider for all their services. This builds the client/provider relationship, and gives the provider a revenue stream with a long tail. 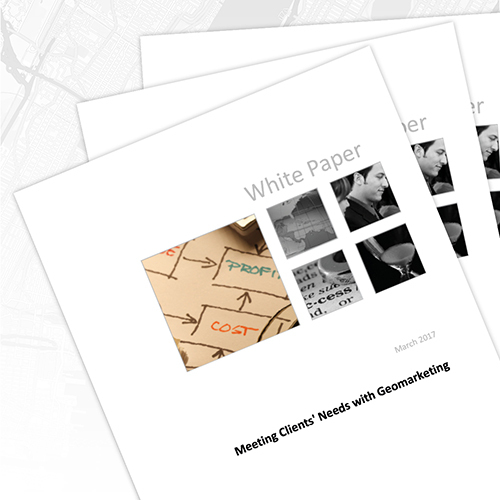 More information on the geomarketing opportunity for print and marketing service providers can be found in the 'Meeting Clients' Needs with Geomarketing' white paper.